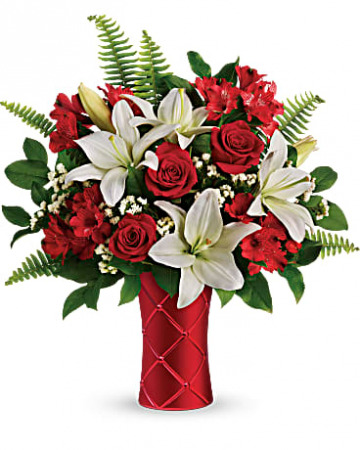 This Matte red vase has is perfect for that special sweety in your life. 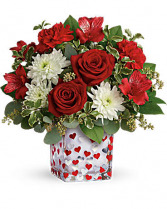 Red roses and white lillies arranged beautifully for Valentine's Day! 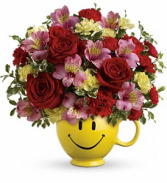 Make anyone's Heart Happy, with this Happy Harmony arrangement filled with love. Perfect gift for that speical someone. 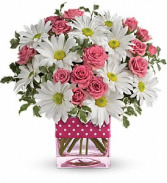 Happy little cube arrangement with A polka dot ribbon with white daisy's and pink spray roses.